Hot Eskimos played on the annual Folk Music Festival in Siglufjörður,in northen Iceland last June. To be frank, our repetoire is based on popular music from the 70’s onwards so it was a bit of a stretch. But we like to think of these songs as the folk music of tomorrow. And to play along we took an ancient folk melody and made it into a blues. My dear old father heard it on the National Radio 1 (RUV) the other day in a program about the festival. So I directed my browser to their site and downloaded it (as opposed to recording it to a cassette tape as we did when we were young, remember?) And you can listen to it here! Hot Eskimos, live in Siglufjörður kirkja. Yes, it’s the church of Siglufjörður (pictured above). 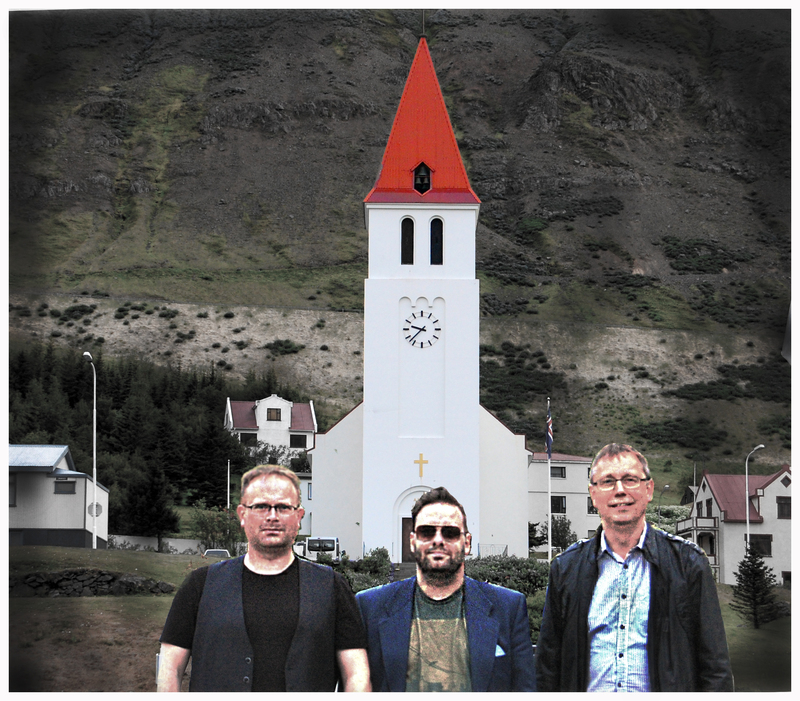 – A waitress in a hamburger joint in Siglufjörður was so kind to take our picture with the church in the background, just a few steps outside her workplace. As you can tell our bellies are full of hamburgers. Life on the road!